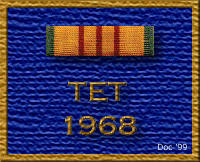 The Radio Research Communications Unit , Vietnam (RRCUV) was organized under GO (General Order) 48 , HQ USASA, and amended by GO 90, dated 2 Sept 1966 Mission: The mission of RRCUV was to operate and maintain a Communications Relay Station (CRS) within the Critical Intelligence Communications Net (CRITICOM) and to insure the expiditious receipt, processing, and transmission of all traffic from and to other relay and tributary stations within the CRITICOM net. The unit also served as the traffic control station for all CRITICOM stations in Vietnam. You have now entered the RRCUV Web Site. 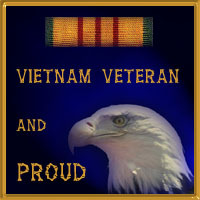 It is dedicated to all the soldiers who served and endured the 12 hour shifts and 30 days of 12 to 12's while assigned to CRS Saigon and Terminal White Birch. While some will not agree, our efforts were every bit as important to the war effort as were those of the soldiers in the field. This is our home page. Your input is both welcome and solicited. If any former RRCUV soldier has photos or momentos they would like to see included on this web site, they will be proudly displayed. The RRCUV Guest Book is for you guys to tell your favorite RRCUV story. It could be about something that happened in the ComCenter, The club, downtown, or whatever. Just take a few minutes and share with us.